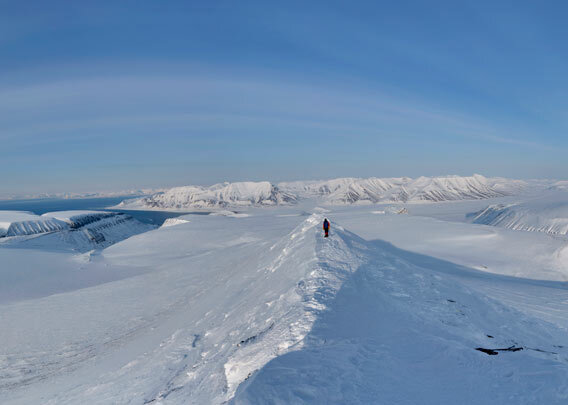 The 849 m high mountain Trollsteinen is a popular hiking destination near Longyearbyen. It can be done both in the summer and in the late winter, then usually by ski or snow shoe. For most, it will fill the best part of a day, but experienced local skiers take a more sportive approach within a couple of hours. The approach is either across Larsbreen (often coming from Longyearbreen and Sarkofagen) or from Gruvefjellet. 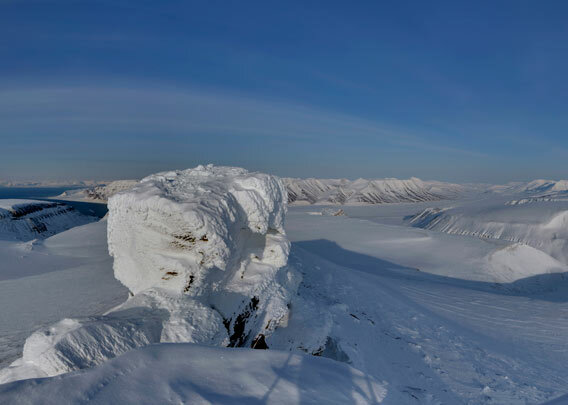 These panoramas were both taken in early April.